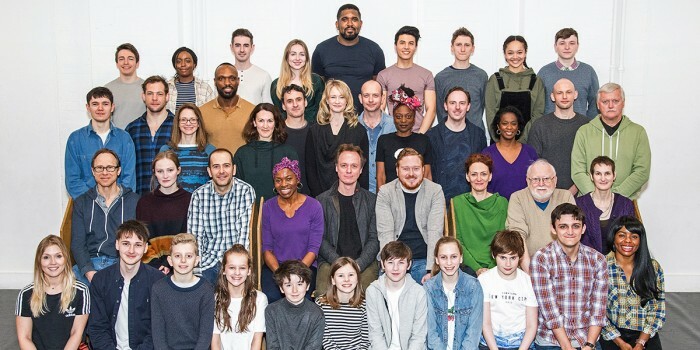 London’s Theatreland will have a new Boy Wizard extraordinaire this Summer, as the third West End cast of Harry Potter And The Cursed Child starts performances at the Palace Theatre on 23 May 2018. Stage and screen star Jamie Ballard (Mother Christmas, Hampstead; Suffragette) will play the world-famous wizard, replacing Jamie Glover in the titular role. Susie Trayling (The Hook, Liverpool Everyman) will play his wife, Ginny Potter, and Joe Idris-Roberts (Pinocchio, National Theatre) joins the cast as their son Albus Potter. Jonathan Case will assume the role of Scorpius Malfoy, in his professional stage debut. Thomas Aldridge continues as Ron Weasley as well as Rakie Ayola as Hermione Granger and Helen Aluko as their daughter Rose Granger-Weasley. James Howard also continues as Draco Malfoy. They are joined by cast members Rosemary Annabella, David Annen, Jordan Bamford, Emma Bown, Adrian Christopher, Craig Connolly, Danny Dalton, Leah Haile, April Hughes, Martin Johnston, Gareth Kennerley, Susan Lawson-Reynolds, Ryan J Mackay, David Mara, Dylan Mason, Barry McCarthy, Sandy McDade, James McGregor, Annette McLaughlin, Tom Peters, James Phoon, Eve Ponsonby, Kate Russell-Smith, Sinéad Sharkey, Amarah-Jae St. Aubyn, Mark Theodore and Joshua Wyatt complete the 42-strong company playing a variety of characters, including seven children who will alternate two roles. Harry Potter And The Cursed Child, which won a record-breaking 9 Olivier Awards at last year’s ceremony, is one play, presented in two parts. It tells the story of the grown-up Harry, now a husband and father of three school-age children. But Harry’s dark past continues to loom over him, and as his youngest son Albus struggles with the weight of his family legacy, both father and son are forced to learn that sometimes, darkness comes from unexpected places. The show is the eighth story in the Harry Potter series, and is the first official Harry Potter tale to be presented on stage. It received its world premiere in June 2016 at the Palace Theatre in London. The Broadway production will begin previews at the Lyric Theatre later this week (16 March), and in early 2019 the Australian production will open at Melbourne’s Princess Theatre.